Social media has become the most import part of our daily life. As of January 2017, more than about three-fourth of Indian adults were using some form of social media, and almost 9 out of 10 were present on facebook, according to EHC's survey. 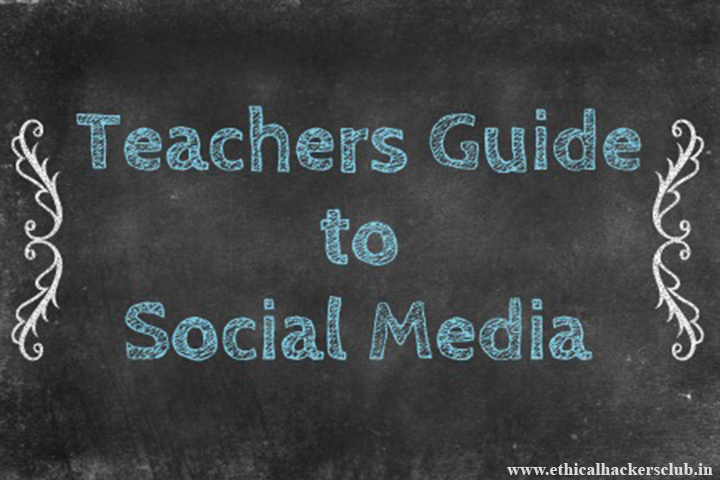 There's no doubt almost 96% of your students are using Social media account be it a middle school or a higher grade. Must Read: Find more about Cyber Secure Schools. Social media has made it easy for Teachers to stay connected with their students in order to enhance their network of contacts, engage in important discussions, extend their own learning and even provide a platform for class projects, and also to keep them informed, so almost 40% of educators & Teachers are too found on some or the other social media both for personal and professional use. While for personal use educators do have a personal life, families, friends and interests just like everyone else does. But Educators in India also have great responsibilities as they don't only act as Teachers but are also mentors of India culture and society. And so increases their responsibilities and concerns to think twice about how they use social media. Must Read: Cyber Crime And Bullying Prevention. What is relevant to post? Who should you interact with? Should you “friend,” “follow” or make your posts open to your students? And what about parents and colleagues? Are there particular posts to avoid? And how can you control who has access to what you post? Social media services and apps can be used as educational tools, but there are serious issues to consider counting privacy, relevant content, security and also your comfort level with the apps and services. Find out what tools currently your students are crazy about ( new trends develop frequently) and try them out. You might find them useful, or maybe not. But having an open mind about what your students are using and recommending not only opens you up to new extents but shows that you respect your students and care about what is important to them. There's never the specific answer for the question regarding the use of social media, but there are serious issues that you need to think about and, possibly, discuss with parents, students, and colleagues. One thing we can say for sure is that social media is nothing to be afraid of. We’re not saying it’s for everyone, but we are saying that it's a powerful tool and with great powers come great responsibilities. Our series of Teachers Guide to Social Media is designed to provide a framework for thinking about how to make the best use social media.